The diesel market continues to grow from year to year as the need for reliable light-duty and heavy-duty vehicles increases mostly in secondary and third world countries. As infrastructure improves across the world so does the need for dependable work trucks. J.D. Power and Associates predicts that diesel sales will more than triple in the next 10 year accounting for more than 10% of all vehicle sales up from 3.6% just 10 years ago in 2005. From the year 2000 to 2005 diesel registrations increased over 80% exceeding 550,000 vehicles. From 2005 to 2015 that number further increased another 67%. 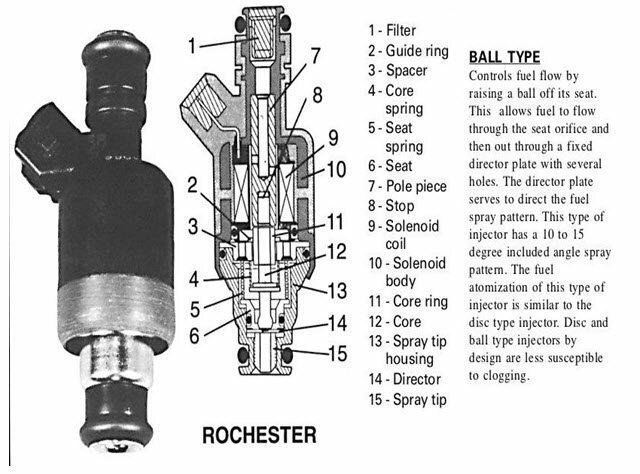 Fuel injectors are small electrical components that are used to deliver fuel via a spray directly into the intake manifold in front of the intake valve in a diesel engine. Diesel fuel injectors are quite complicated; the injector has a high micron filter on the top inlet side which corresponds to small hypodermic sized holes on the bottom for the atomizing of the diesel fuel. The diesel fuel acts as a lubricating source for the injector’s internal parts. The main source of failure for injectors is water in the fuel. When water in the fuel displaces the lubricating properties the internal parts wear down quickly and the injector as a whole can fail rather quickly. Injectors are an extremely important engine component. The injector valve opens and closes at the same rpm as the diesel engine. Typical RPM for diesel engines in North America is around 1800. This equates to roughly 140,000 times per hour! In addition to water in the fuel, injectors are subjected to carbon and dirt particles introduced into the unit via a bad air cleaner element. The type of fuel, grade and additives used also has a significant impact on the life expectancy of the fuel injector. The ECM (Engine Control Module) controls the fuel injectors in most electrical diesel engines. The diesel injectors constantly have power when the key is turned on regardless if the engine is turned over. The ECM grounds the injector, completing the circuit and causing the injector nozzle to open. The ECM after receiving information from various control sensors determines the length of time the injectors need to be grounded to inject the exact amount of fuel given the horsepower output demand from the engine. The process of diesel injectors opening, closing and dispensing the correct amount of fuel happens in milliseconds. Injector cycle firing is on average completed in 1.5 to 5 milliseconds. Diesel fuel injectors come in different shapes and sizes depending on the engine make and model as well as power demand. Automotive injectors are quite a bit smaller than heavy-duty diesel applications and are measured in cubic inches. There are two types of diesel fuel injectors: the first is called throttle body injection where 1-2 injectors are located in the throttle body itself in the diesel engine and supply a metered amount of mist fuel spray into the intake manifold. This delivery system essentially charges the intake and the intake valve draws the fuel into the cylinder of the engine. The second delivery system, known as individual port type fuel injector, is newer and more fuel efficient. Port type of injection is more efficient than a carburetor since it adjusts to air density and altitude and is not reliant on the manifold vacuum. With throttle spray injection inefficiency comes when the cylinders closest to the injectors having a better mixture than the ones furthest away. With port type of injection this flaw is eliminated by injecting the same amount of fuel to each cylinder in the engine. Each fuel injector is a little different but they all have 15 main parts including the filter, guide ring, core spring, seat spring, seat, pole piece, stop, solenoid coil, solenoid body, core ring, core, spray tip housing, director and spray tip. The fuel flow is regulated by the ECM by raising a ball off its seat. This allows fuel flow through the seat orifice and then out through a fixed director plate with several holes. The director plate serves to direct the fuel spray pattern. 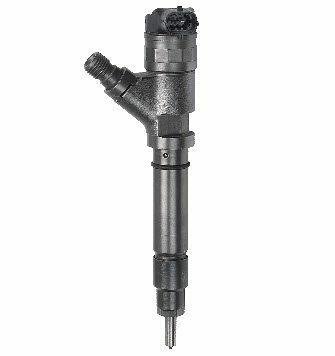 This type of injector has 10 to 15 degree angle spray pattern. The fuel atomization of this type of injector is similar to the disc type injector. Disc and ball type injectors by design and less susceptible to clogging. Diesel Fuel injectors come in a variety of shapes and sizes as well as working conditions. The article posted here explains the difference between OEM, Remanufactured, Refurbished and Used Injectors. Capital Reman Exchange can help you identify which type of fuel injector is right for your diesel engine.